This fall, the Sparrow Band will bring the latest EP pearls rain from the temple to the national tour. On October 26th, they will depart from Shenyang, cross the north and south of China mainland, and pass through the island of Taiwan. In the coming two months, they will visit 23 cities across the country, telling the fans about the broad image with the unique instrumental sound of “Sparrow Style” ,which is wonderful. With electronic music, hip hop and folk music as the mainstream, instrumental music as a very atmospheric and colorful music style, also have an underestimated place. Sparrow, formed in 2008, launched its first EP in 2010 and the album The Rainbow Mountain in 2012, laid a solid foundation for them. This summer, the band released the latest EP pearls rain from the temple after signing the modern sky. This is another poetic surprise that they brought to the fans after Lost Mind. In last year's Lost Mind national tour, the Sparrow Band turned to 21 cities across the country, and fans were all fascinated by the beautiful dreams they created. This time, Sparrow will fly again and bring new works to each city along the way. The rigorous pursuit of chords and timbres makes their live performance magnificent. The bright electric guitar, the bass whisper, and the beat of the drums have composed many brilliant artworks. All the wildest dreams in the listeners’ head will be fulfilled in their works. The Sparrow has flied for ten years, with sands of life on their dedicated wings, overlooking the landscape from the sky. This time, it’s heading to brand new destinations, with music as their brush, painting the view with its eyes. 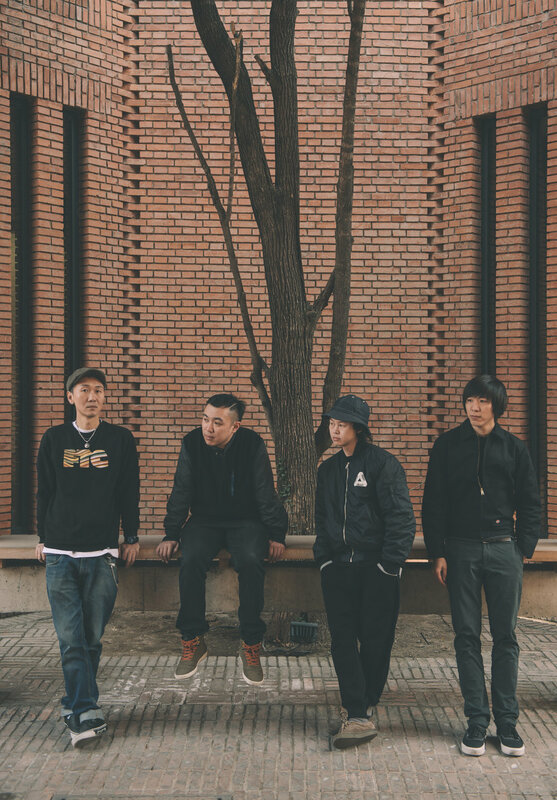 The Sparrow Band, as Beijing Post-Rock Legend, formed in 2008, which is one of the most famous post-rock bands in China. The Sparrow is the celebrity of musical instruments with MOOER, CLEARTONE, UFIP, and PREMIER as well. The Sparrow released EP workpieces as The Rainbow Mountain , People Who Are Looking for Scenery, Diamond Cut etc. since the start of the band. 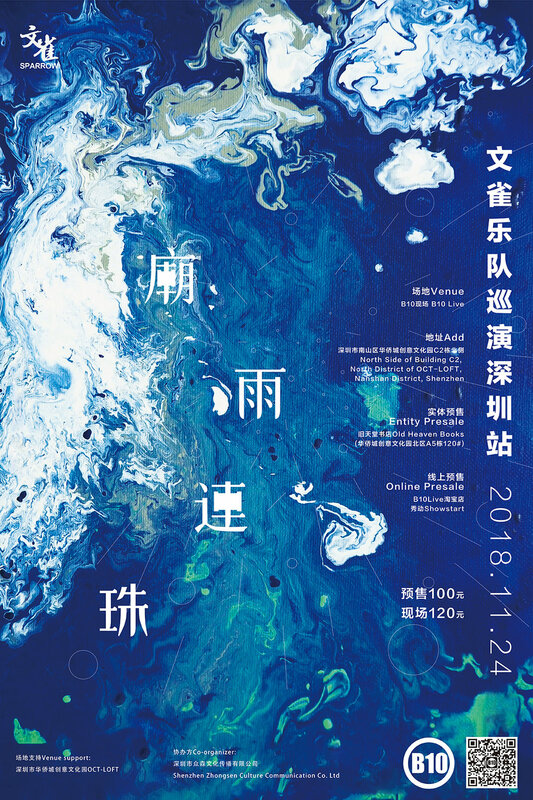 The Sparrow founded their own music studio in 2017, and released the album <The Wild Goose> (Taiwan Version) in July, the forth EP <Get Lost> in August; besides, the Sparrow Music Studio published the post-rock collection album Jiu Er Jiu Zhi (named as Chinese) in November, and hold the 1st. Sparrow Post-Rock Music Festival in December.